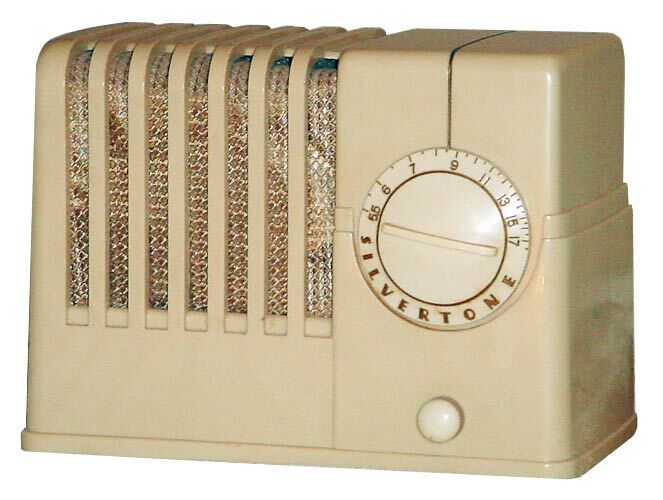 This magnificent streamline Silvertone was the first Bakelite radio sold by Sears & Roebuck Co. and is also nicknamed the "Election" model because of its success during the 1936 presidental election. 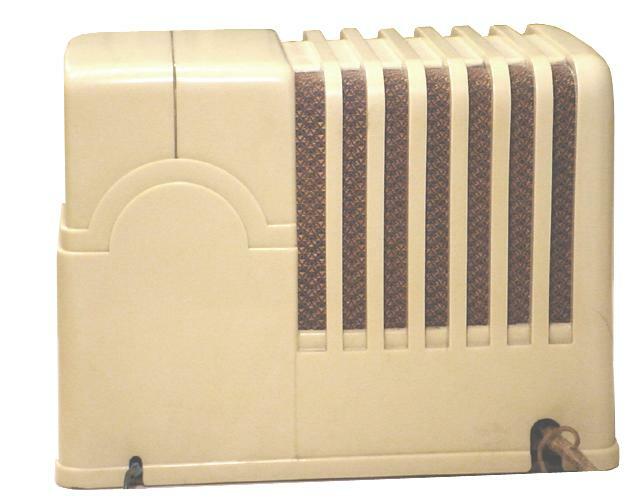 The 4500 series was so successful that it remained in production well until the late 1930s. There are several variants of the original 4500 that have pushbuttons and different cabinet colors, but the black bakelite is the most common. While the cabinet design was considered revolutionary at the time, the T.R.F. 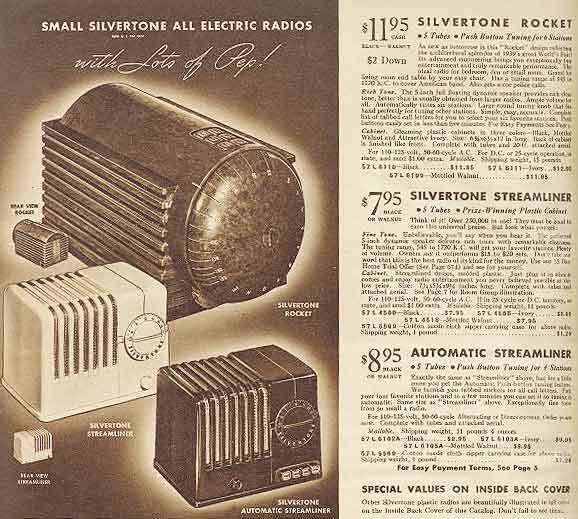 radio circuit was not quite cutting edge technology. Below is a 1938 advertisement showing the black 4500 or walnut 4518 for $7.95 and the ivory plaskon 4505 for $8.95. These came with an optional carrying case and I have never seen a surviving example.